Need to find affordable landscape gardening services in Winchester? 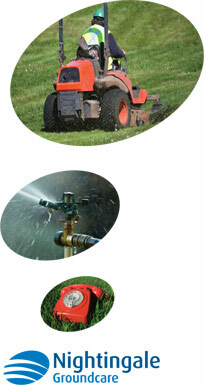 Then look no further than Nightingale Ground Care. By investing in our help, you can have your landscape look great all year round without having to lift a finger. Whether the hedges need trimming, grass needs cutting, or you need regular litter cleaning, we are here to help. Known in our industry for our competitive prices and high standards, we work hard to maintain a solid reputation. We will do all we can to exceed your expectations and will always aim to go the extra mile to ensure you are happy with the service we provide. The team here work incredibly hard to provide a first-class customer service, and we're confident that you won't find a better service out there. For a company that is affordable, professional and prompt, choose Nightingale Ground Care today. We have plenty of information on our website about our services so make sure to take a look around today. If you would like to speak to the team about moving forward with our services, we are always happy to help. Call us on 01794 323606 or fill out the contact form and we will respond as soon as we can.